Windows 8 with a twist. Lenovo’s unique ThinkPad Twist adopts the x-series’ design of a swivel-mounted screen alongside all the obligatory ThinkPad traits. 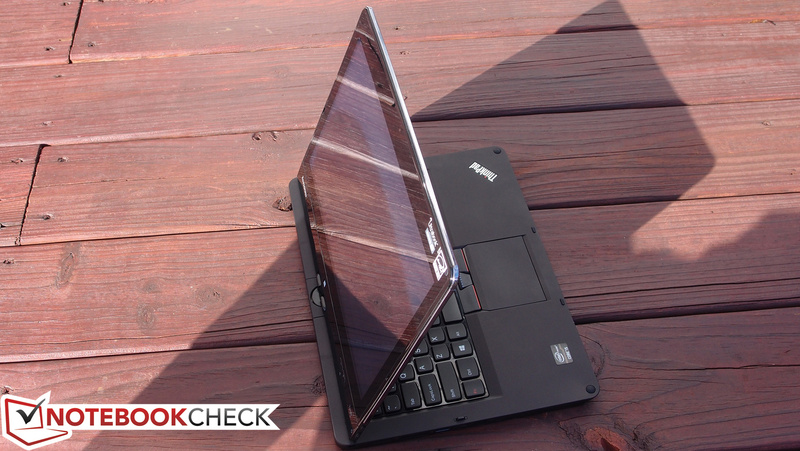 But can it fulfill its intended role as a practical next-gen alternative to a conventional business notebook? 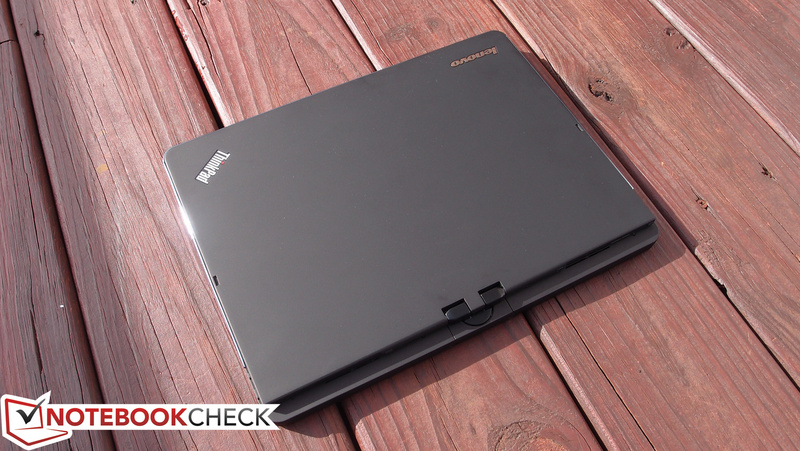 Lenovo’s ThinkPad line of notebook PCs needs no introduction. Built intelligently, practically, and conservatively, ThinkPads meld all of the latest options business users desire with the same conventional designs that have proven so effective over the years. It’s this rock-solid balance of cutting-edge conservatism which has earned the brand such a reputation within the heavily-contested mobile business computing market. But as far as progressivism goes within the confines of the ThinkPad brand, the Twist really pushes the boundaries. 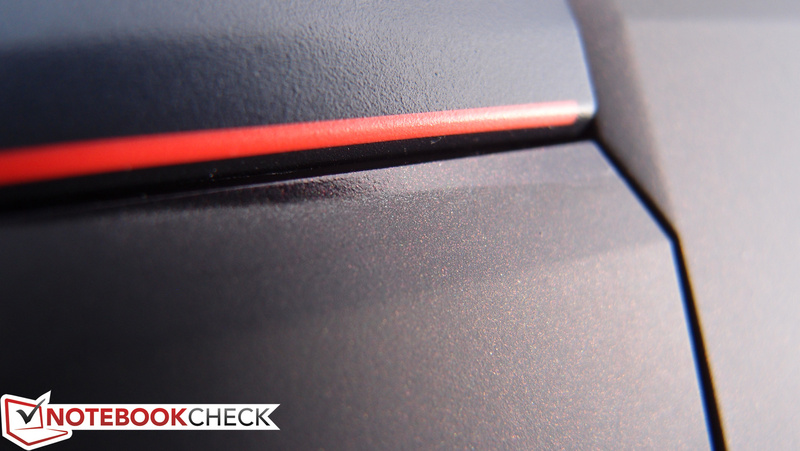 In fact, although it bears the markings of a mainline entry in the family, it’s actually a ThinkPad Edge, in spite of the misnomer. The bigger question, then, is whether the changes introduced by the Twist’s design preserve that same relentless sense of practicality that is required of every successful ThinkPad. 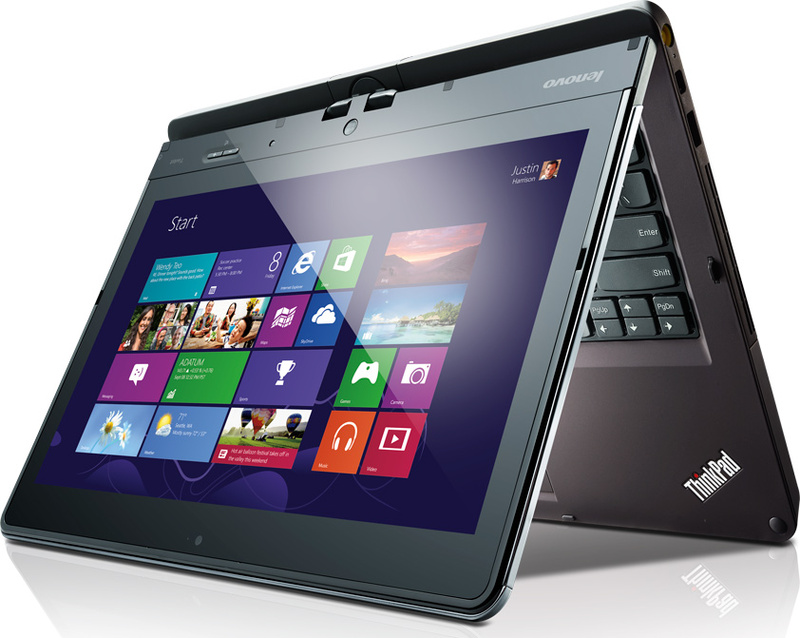 Our ThinkPad Twist review unit features an Intel Core i5-3317U dual-core CPU with Intel HD Graphics 4000. This exact configuration currently retails for $899 at Staples stores—perhaps surprisingly affordable when you consider the IPS touch-screen and the competition. 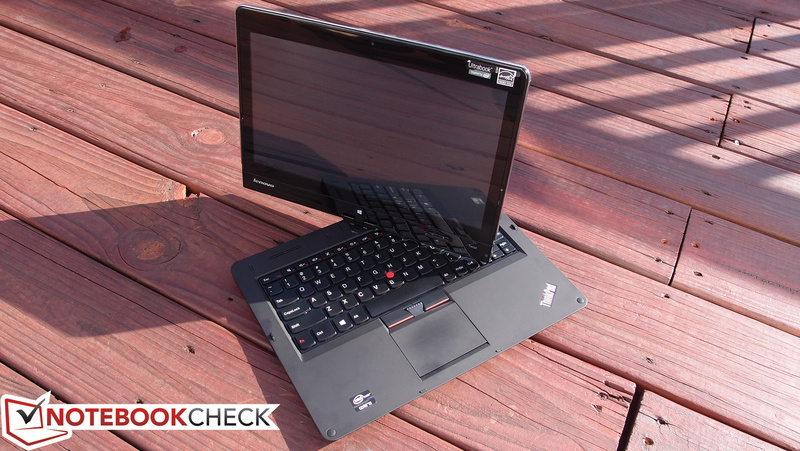 But before we get into that, let’s back up and explore every aspect of the ThinkPad Twist scientifically—as always. 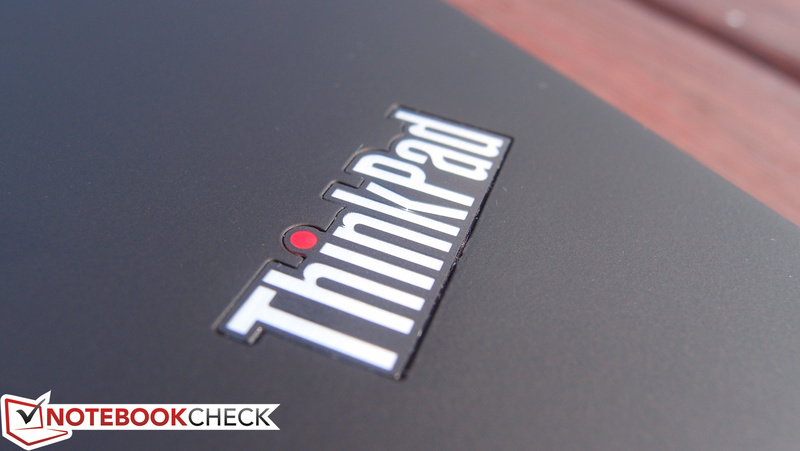 The ThinkPad style has long been defined by subdued, monochromatic subtlety with the occasional red or chrome accent where warranted. Traditionally, surfaces are predominantly matte (generally including the screen) and are usually comprised of high-grade plastic or magnesium/carbon fiber with a reassuring sense of durability. 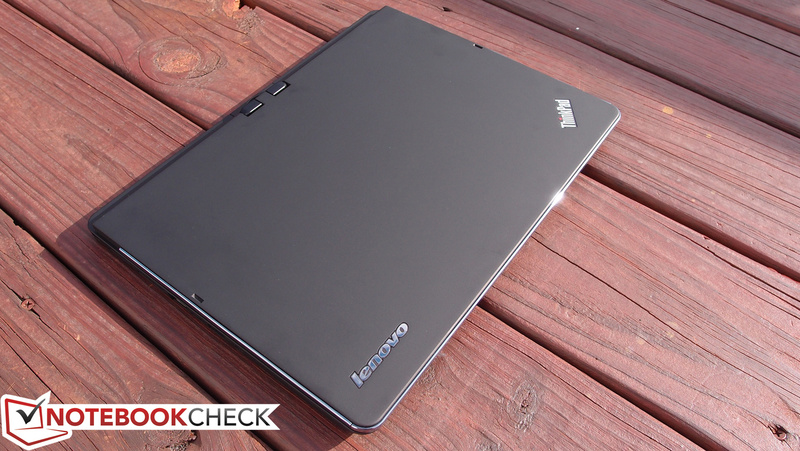 Lenovo touts the toughness of the brand by commonly making mention of the propensity of their machines to take a beating. While the ThinkPad Twist mostly fits this template, it diverges from the norm in ways which might at first appear to be purely cosmetic in purpose. For starters, in spite of the Twist’s primarily matte presentation, the screen is unfortunately glossy, and the spacing between the keys on the keyboard is distractingly shiny. There’s also a bizarrely flashy faux-chrome plastic trim lining the edge of the display lid, giving away its Edge classification. 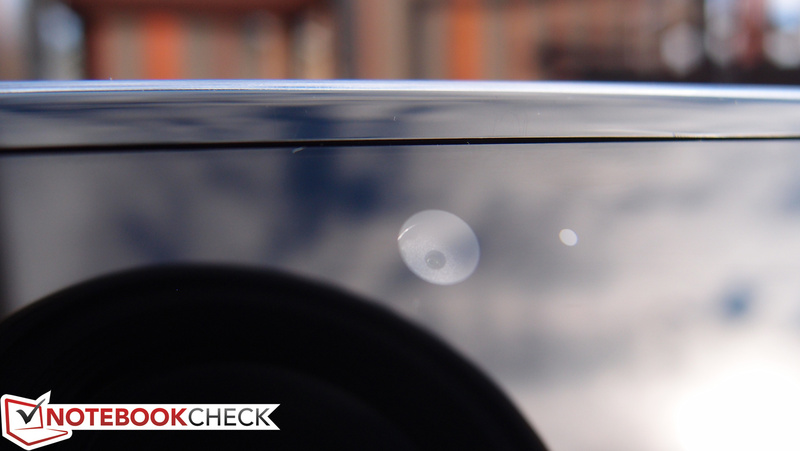 These inclusions almost cheapen the overall appearance, but ultimately, they don’t provoke any practical concerns. Even the glossy screen is par for the course, and it’s augmented with none other than Corning Gorilla Glass, which means it’s deceptively durable. Also slightly concerning is the perceived rigidity of the casing. 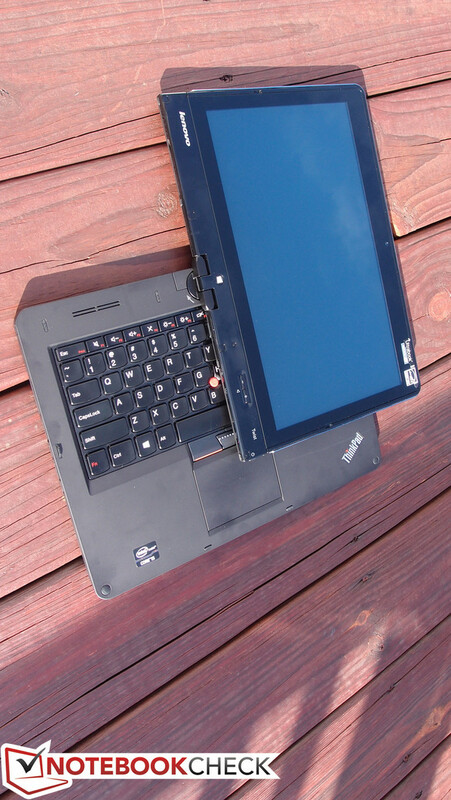 Although it’s sturdy when compared to many consumer models, the ThinkPad Twist’s construction doesn’t exude the same sense of ruggedness that most of its larger brethren champion. As with the X series, some degree of compromise in the way of materials was probably necessary to keep the weight at reasonable values, as well as to keep the cost down, of course. 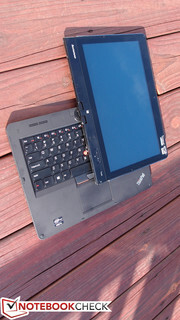 But the more you handle the Twist, the more it becomes obvious that it’s actually an Edge—and the result of the lighter-weight construction is a noticeable flex when pressure is applied to either the palm rest or the back of the display lid (something which might disappoint loyalists who expect every ThinkPad to remain nearly invincible in spite of the circumstances). The “internal chassis” is still described as magnesium alloy, but the palm rest and some other critical areas seem more fragile. 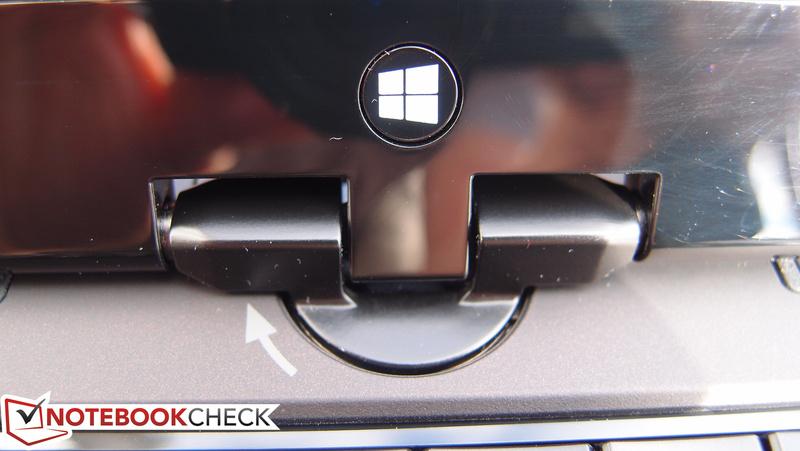 The hinge used to secure the screen only rotates in one direction: clockwise to the keyboard. This is probably for the best in terms of durability, but it is a bit unnerving to try and quickly rotate the screen the wrong direction and find it merely twisting in place under the pressure. This is something that most users will likely adjust to over time, however, and to its credit, the hinge does seem rather strong. 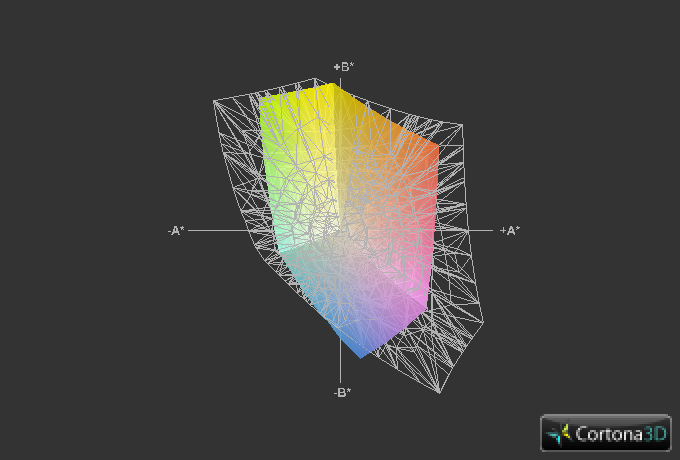 Once transformed, the system collapses quite nicely into a cohesive tablet device. Having said that, while the weight is more than manageable enough for a notebook, it’s certainly on the heavy side for a tablet. Finally, our review unit exhibited some strange inconsistencies which are almost certainly a mere manufacturing error: the touch pad finish is strangely missing near the top right of the pad (see our photo), and the touch pad itself (which we’ll get to in greater detail in a few moments) possesses a couple of rough raised areas which clearly aren’t intended. 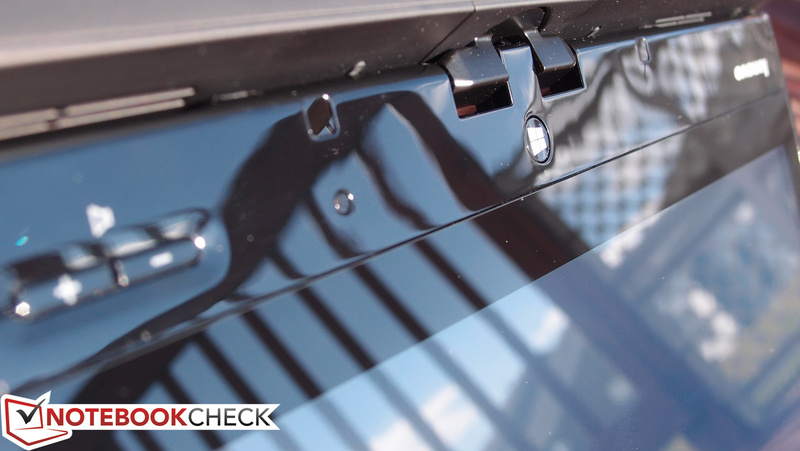 These types of quality assurance misses normally don’t afflict the ThinkPad brand, but it’s expected that Lenovo would likely honor a replacement if the consumer contacted warranty support about the situation. Elsewhere, the fit and finish is as expected. Parts fit together tightly and look very seamless. This is an area where ThinkPads are supposed to excel, and apart from some missteps, the Twist still seems better built than many consumer-grade models. 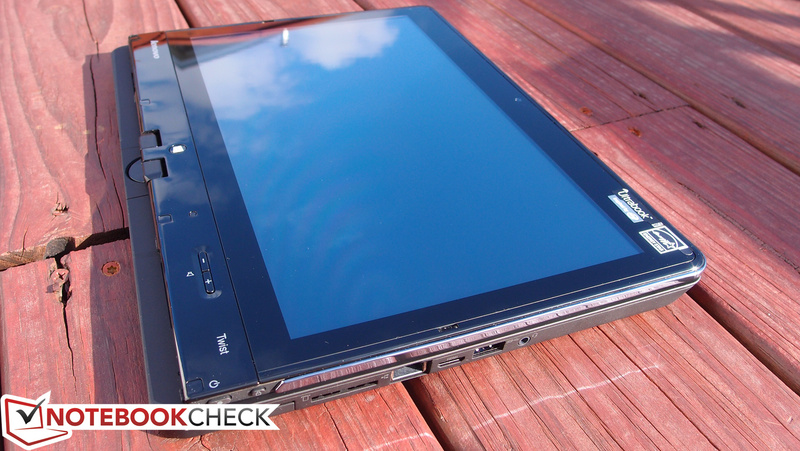 A final note about the design of the ThinkPad Twist: unlike most ThinkPad products, it’s hardly maintenance-friendly. 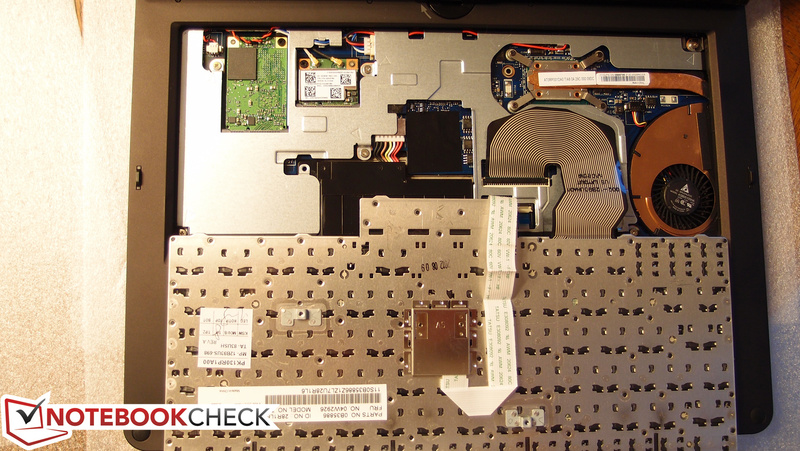 Only the hard drive, keyboard, and WLAN Mini-PCIe card can be easily replaced. Everything else—from the battery to the RAM—is either deeply embedded in the PC or not replaceable at all. This is one category where the Twist pleasantly surprises; for an Ultrabook, its connectivity options are almost unprecedented. You’ll find two USB 3.0 ports (which is standard for the size) alongside two digital video output options (mini-HDMI and mini-DisplayPort), a card reader, and even a Gigabit Ethernet port. 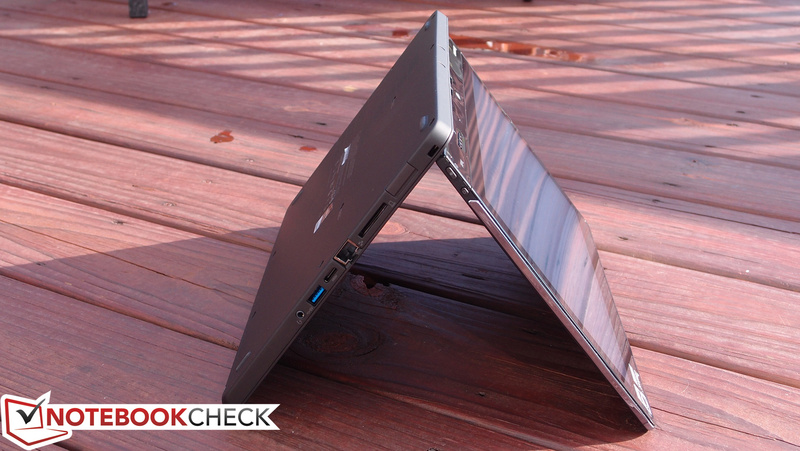 That alone is a stunning array of options for such a tiny PC, and it’s something we yearn to see on more Ultrabooks. Plus, the ports are intelligently arranged. The two USB ports are located on opposite sides of the notebook, and the only adjacent ports are less-important miniature video and audio outputs (though the mini-HDMI port could get in the way). That means you’ll have little to worry about when connecting larger USB devices to the Twist. 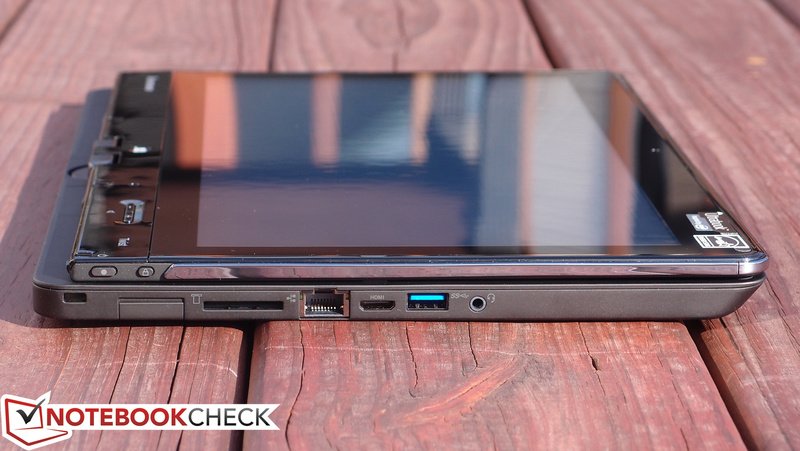 About the only decision which might irritate some ThinkPad purists is the placement of the charging port on the right side of the unit (rather than the back). 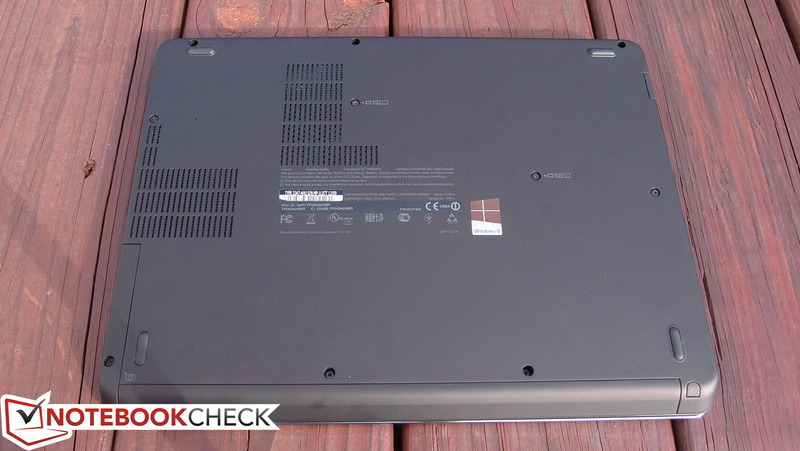 Our ThinkPad Twist review unit came equipped with a Broadcom BCM43228 802.11a/b/g/n Wi-Fi adapter, which features a 2x2 antenna configuration and can obtain speeds up to 300 Mbps. Included alongside this is Bluetooth 4.0 (standard) and Gigabit Ethernet (Realtek chipset). An Intel Centrino Wireless-N 2230 adapter is available instead optionally. WWAN choices also exist, but choosing one will override the inclusion of the “HDD Performance Booster” that Lenovo advertises due to the fact that the mSATA SSD it leverages consumes the same mini PCIe slot (we’ll cover this more extensively in the Storage section of our review). Aside from the inclusion of the usual TPM (Trusted Platform Module, version 1.2), Lenovo provides a software suite called Lenovo Solutions for Small Business (abbreviated LSSB). Although it isn’t purely security-oriented, this preinstalled package allows administrators to perform everything from after-hours maintenance (such as backups and software updates) to software monitoring to ensure required applications are not removed by the user (LSSB provides an alert if this occurs). It also can be configured to allow or deny access to particular USB devices to protect against possible threats. Finally, a few other minor options like Data Backup and Restore and the Energy Saver power profile have been consolidated into this application to provide easier access to commonly-requested perks for demanding business users. Alongside LSSB is the Lenovo Solution Center—which, as of this year, has replaced the Lenovo ThinkVantage Toolbox, much to the chagrin of the ThinkPad community. 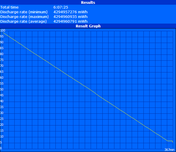 The highly-acclaimed Lenovo TVT software was written by PC-Doctor, a company long known for their exceptional hardware device diagnostic software (used by many computer technicians to diagnose parts failures) and included not only a plethora of customizable diagnostic tests in comparison, but also a rather excellent drive space manager which is conspicuously missing from LSC. Version 2.0 of the software is included on the ThinkPad Twist, and although it’s supposed to improve upon the previous version, we still found it sorely lacking in comparison to ThinkVantage Toolbox. Surely a cost savings was the motive for this change, but if you’ve long been a fan of TVT, expect a rocky transition. Our ThinkPad Twist system included Lenovo’s standard reasonably-sized 65W AC adapter which is conveniently designed, complete with a Velcro strap for easy cord storage. Apart from that, no other accessories are bundled with the PC. Unlike many Ultrabooks, the Twist does not come with any video output adapters (such as a mini-DisplayPort to VGA or a mini-HDMI to HDMI), so be ready to place a couple orders for these elsewhere. 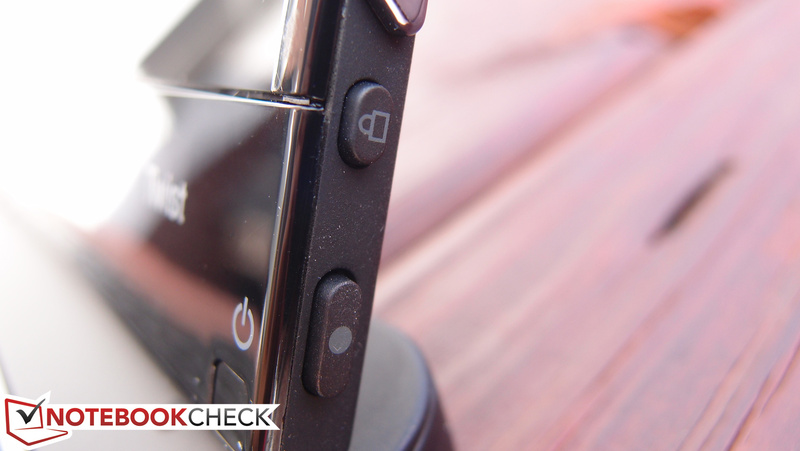 The notebook is presumably too thin to accommodate the inclusion of a docking station port, so there is unfortunately no compatibility with many of the Lenovo mainstay accessories such as the Ultrabase or slice batteries. However there are a handful of other available accessories (sold separately), such as the highly-acclaimed ThinkPad USB 3.0 Dock (which provides most of the core functionality of a docking station anyway) and an assortment of Lenovo branded adapters. 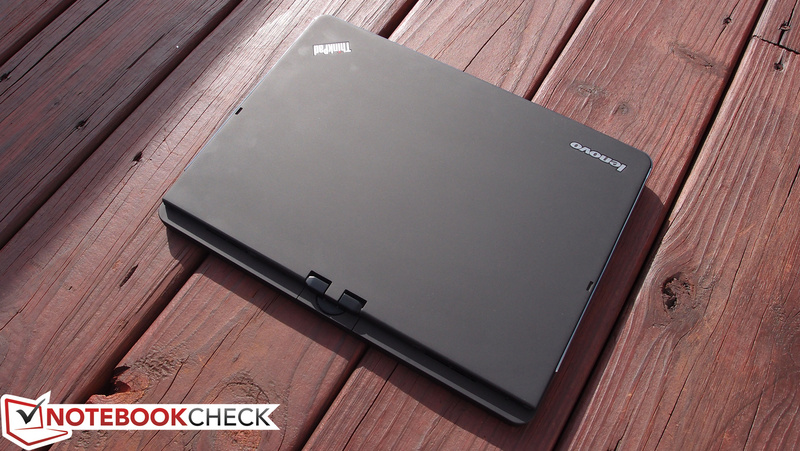 The ThinkPad Twist comes standard with a one-year depot warranty. 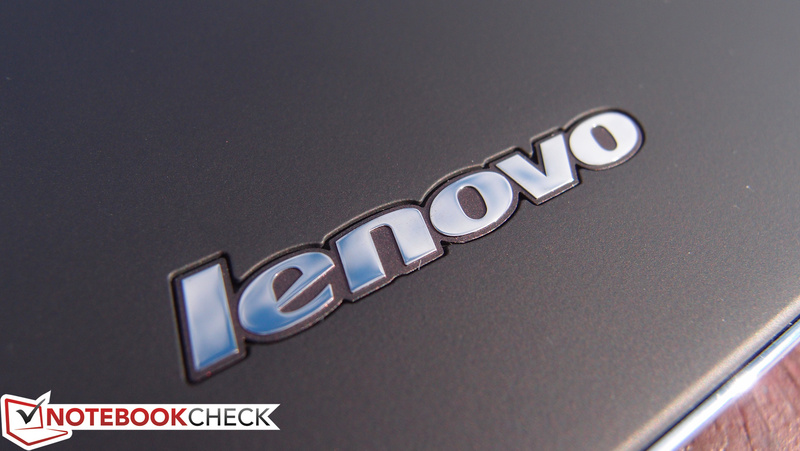 The usual array of Lenovo warranty upgrades are of course available, ranging up to 5 years in duration with such options as On-Site, Accidental Damage Protection, and Keep Your Drive. The AccuType keyboard is very good overall. 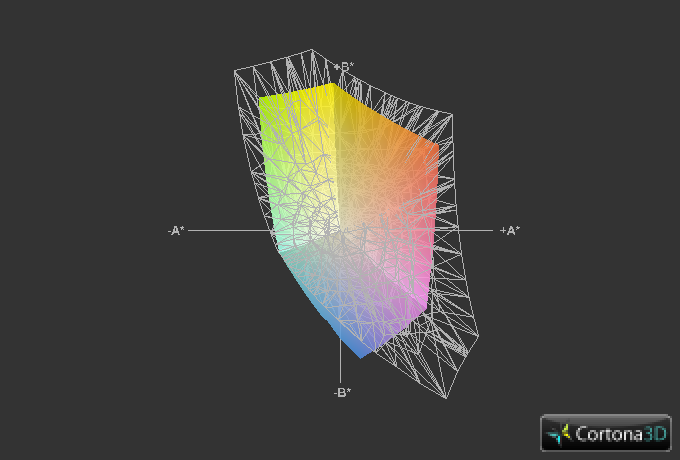 Although the touchpad surface may look uniform, on our model, it wasn't. 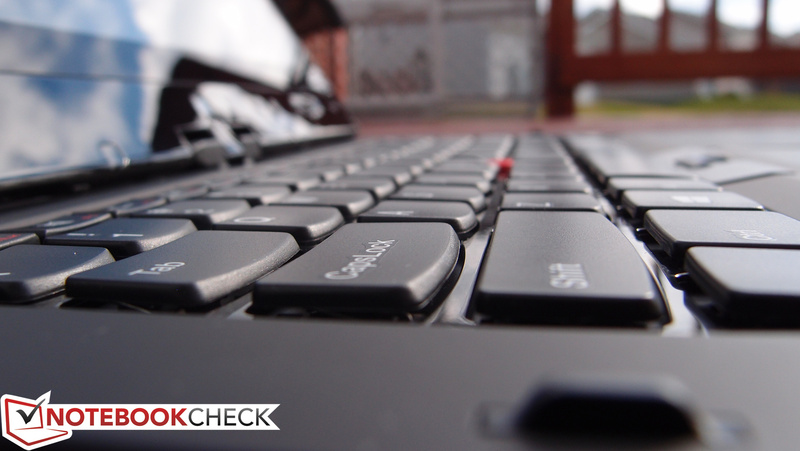 Another major change in the ThinkPad formula which has roiled the community is the jarring transition from the traditional ThinkPad keyboard—widely proclaimed to be amongst the very best on any notebook available—to a trendier, more modernized Chiclet-style keyboard that the company calls “AccuType”. The details are pretty straightforward: the AccuType keys are flatter but still feature a small dip in the center to help guide your fingers, and their surface is also roughly 30% larger than that of the keys on the traditional keyboard. This supposedly provides for a more accurate typing experience, and in fact, we find the AccuType keyboard to be very good in its own right. 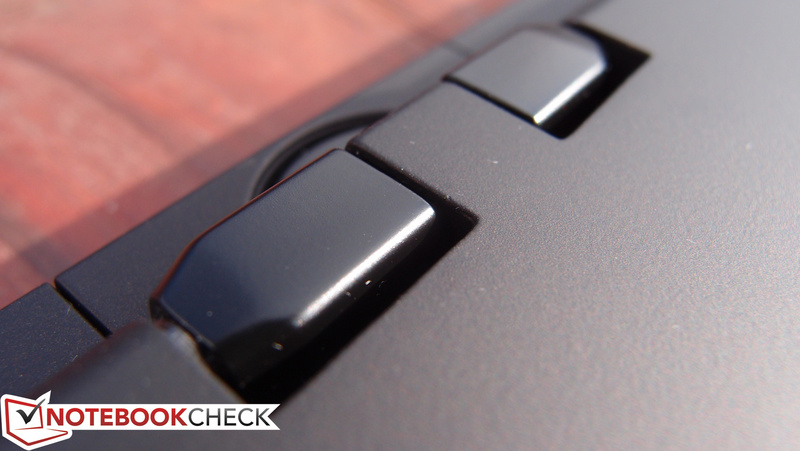 However, as anyone who’s grown accustomed to using the classic ThinkPad keyboard will tell you, a choice for either would be ideal—though it doesn’t look like we’ll ever get it. While there is no option for backlighting on the Twist’s AccuType keyboard, it is inherently spill-resistant. The keyboard strangely seems markedly better than its IdeaPad counterpart, with a better sense of feedback with each keypress. Still, it also feels softer than the best iterations of the traditional ThinkPad keyboard, and as a result, a bit more energy is required to type decisively. Ultimately, while the classic keyboard will be missed, much worse could have occurred here. The AccuType keyboard is hardly a catastrophe, and, quite to the contrary, still easily stands among the best notebook keyboards available. Of comparable importance to business notebooks is the quality of the pointing devices. The ThinkPad Twist’s Synaptics touchpad, while generally accurate and thankfully customizable using the Ultranav software, unfortunately disappoints thanks to an uneven surface and substandard integrated buttons. Clicks are quiet but also unconvincing, and right-clicks sometimes don’t register as intended even with the latest version of the driver. The uneven surface we’re referring to may in fact be a manufacturing error on our particular review model, as the upper-right hand corner of the touchpad also lacks the finish that completely covers the rest of the pad. Fortunately, the ThinkPad Twist’s capacitive touchscreen immediately impresses, with the sort of responsiveness you’d expect from the highest-end tablets and smartphones. Its operation is consistent and seamless, with finger-presses nearly always registering where intended and results instantly produced. Gestures are also quickly and accurately interpreted; the panel supports 5-point multi-touch. Fingers generally glide rather effortlessly across the Gorilla Glass surface of the screen, though (as with any glossy-screened tablet) any sort of humidity can make things a bit more difficult. Unlike some other high-end convertibles, the Twist also lacks a digitizer pen—but with the low resolution of the screen, accuracy generally isn’t much of an issue. What this all boils down to is that the Twist features a touchscreen as capable as the best of today’s tablets—an important victory seeing as that’s all that separates it from a traditional notebook. The gyro sensor is also quite good. While at first we experienced some wonky and unpredictable operation, a driver update (automatically suggested and installed by the Lenovo Solution Center software) quickly resolved the issues. 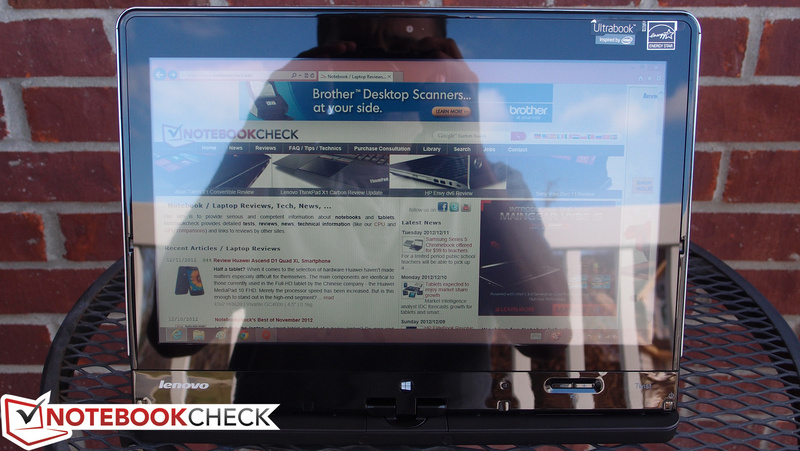 In short, the notebook’s display remains in the standard landscape orientation while the screen is rotated parallel to the keyboard but allows the gyro sensor to dictate the orientation when operating in tablet mode. 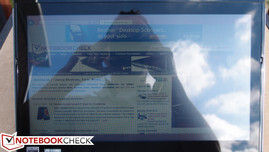 A small “lock” button along the edge of the display is used in either mode for different purposes: in notebook mode, it flips the display upside down so that the machine can be positioned in “tent” form, which essentially functions like a tablet on a stand; in tablet mode, it locks the display to the current orientation until pressed again. 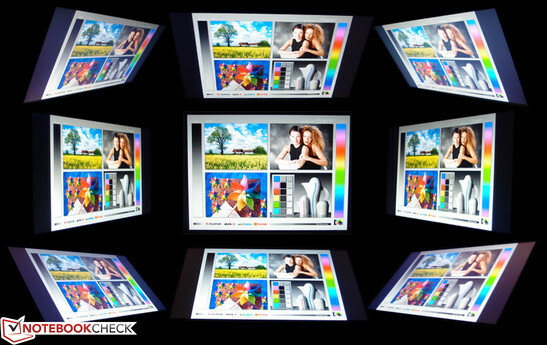 Merely a single display option is available for the ThinkPad Twist: a 12.5-inch HD (1366 x 768) LED-backlit glossy screen. The pixel density of just 135 DPI pales in comparison to many competitors, who have managed as much as 189 DPI on their convertible models, providing a much sharper experience and more on-screen real-estate. 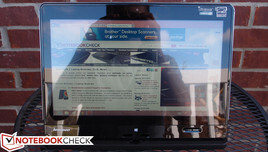 Even Lenovo’s own IdeaPad Yoga 13 offers a higher resolution. Still, in spite of its intrinsic shortfalls, the colors appeared subjectively good. Luminosity is another story. 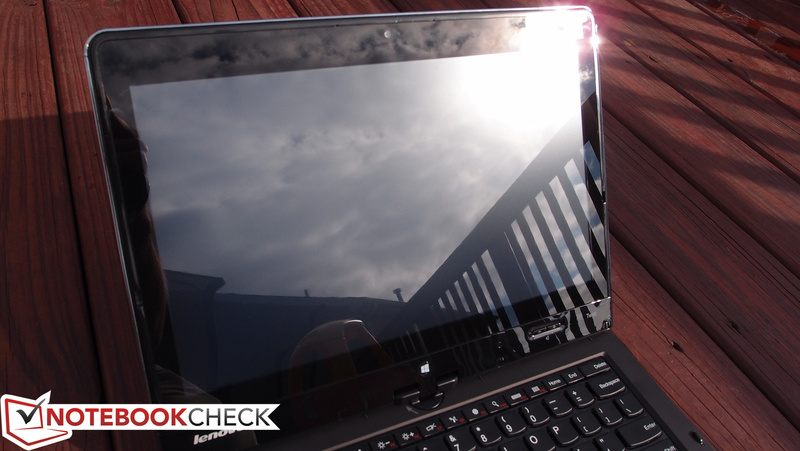 Although Lenovo claims a brightness of 350 nits, we only measured an average of 253 nits with a mere 276 nits at the brightest point (in the center of the screen)—over 20% less than advertised. 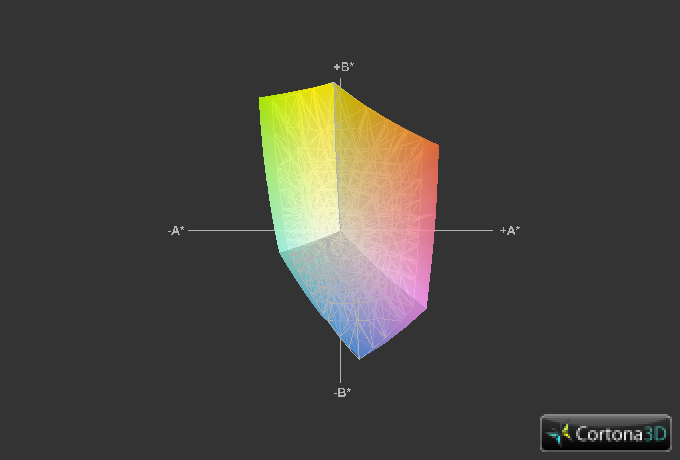 Brightness distribution, at 86%, is relatively uniform. But coupled with the high-gloss screen, there are even situations under harsher normal indoor lighting where the screen becomes riddled with distractive reflections. The magnitude of this oversight is emphasized by the brightness of many competitors’ panels, which routinely measure in the mid- to upper-300s, which is what the Twist is supposed to achieve according to the marketing. Luckily, thanks to a rather low black value of 0.36 cd/m², the panel manages a high contrast ratio of 767:1, which at least provides a bit more “pop” to items on-screen to help overcome these inadequacies. Taking care to ensure no obstructive light sources exist behind them, most users will likely find a brightness setting of around 7/10 (roughly 150 cd/m²) sufficient. As revealed by our tests and comparisons, sRGB coverage is unexceptional at just 65% of the spectrum. That puts the Twist in line with most other notebooks of its class (such as the Sony Vaio Duo 11 or even the Dell XPS 12, which actually trails another 11% behind this figure), but well behind category leaders such as the Asus Taichi 21—which, while still falling short of 100% coverage, is much closer. These figures won’t bother most people, but graphic designers and others who depend on accurate color reproduction will want to look elsewhere. Thanks to the unfortunate combination of middling panel brightness and high-gloss finish, outdoor use of the ThinkPad Twist quickly becomes a challenge under any degree of considerable daylight. Even high-brightness panels struggle under a glossy coating in the sun, and the Twist’s situation is even unluckier. The bottom line is that if you expect to be doing a substantial amount of outdoor computing, you would be wise to consider alternative models with higher-brightness panels or—best of all—a matte screen finish. Since the ThinkPad Twist is meant to be rotated and tilted, it’s lucky to possess an IPS panel, which—apart from the excellent contrast ratio cited above—also provides great viewing angles. The Twist can be tilted and twisted to nearly any extreme with no brightness inversions or other ill effects. 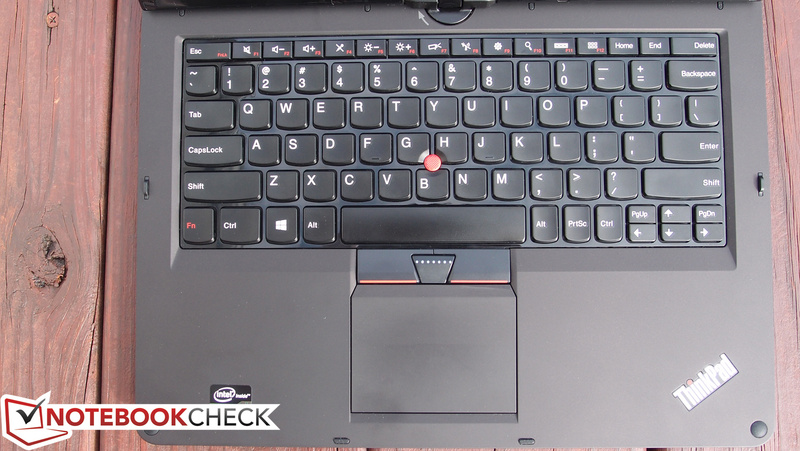 Although an Intel Core i3-3217U CPU is also available for configuration via Lenovo’s web site, our ThinkPad Twist review unit came outfitted with a midrange third-generation 1.7 GHz Core i5-3317U. 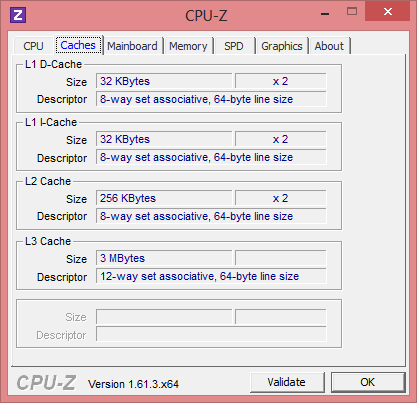 This dual-core ULV Ivy Bridge CPU idles at 800 MHz (per core) and can Turbo Boost all the way to 2.4 and 2.6 GHz (dual-core and single-core, respectively) when needed. It’s a solid performer that sips around half the power (17 W) of its standard-voltage counterparts, which makes it a good choice for Ultrabooks and convertibles with thin cases leading to challenges in terms of heat dissipation and battery size. For more information, see our dedicated page here. 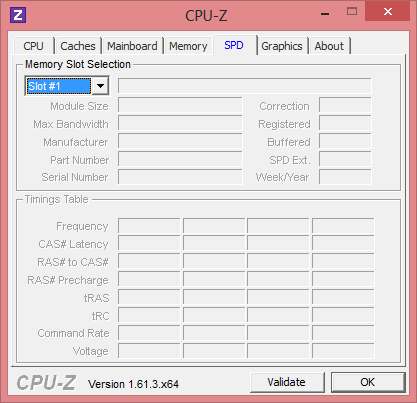 In terms of RAM, our review unit came with a 4 GB DDR3 PC3-10600 Elpida brand SODIMM. 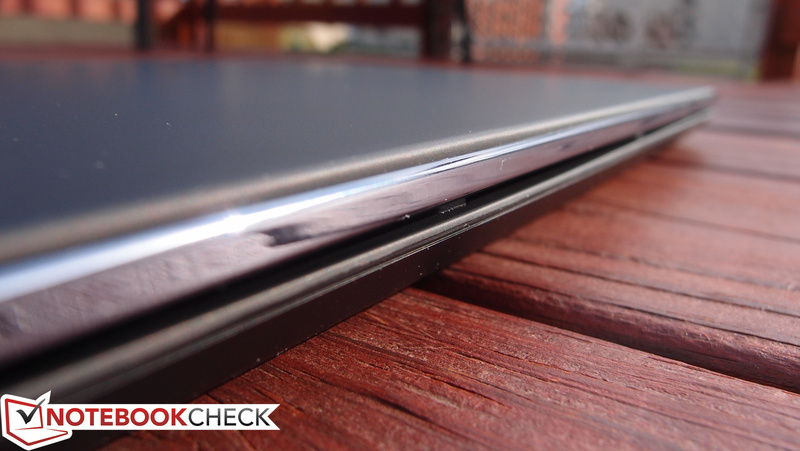 Unlike the Yoga 13, the Twist’s memory is unfortunately not upgradeable as it is soldered to the motherboard. Not even Lenovo can provide an upgrade if the user elects to send the PC in. Regardless, for typical use, 4 GB of memory is sufficient. 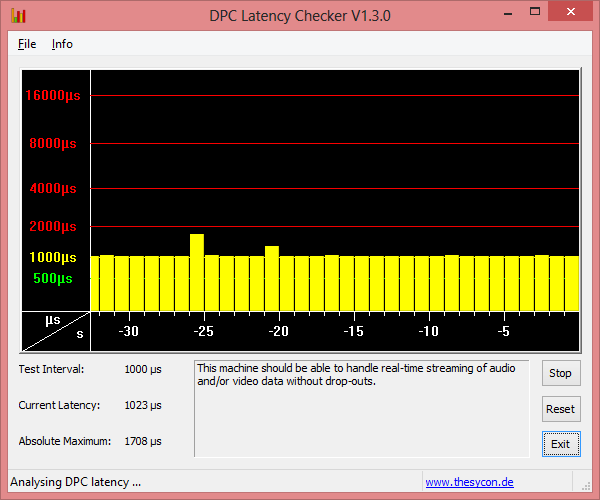 As always, we performed an assessment of the machine’s ability to handle real-time audio/video streaming without drop-outs using DPC Latency Checker. While the results were borderline (with most values resting around the 1000 µs mark), apart from a couple of spikes approaching 2000 µs, this is still an acceptable outcome. 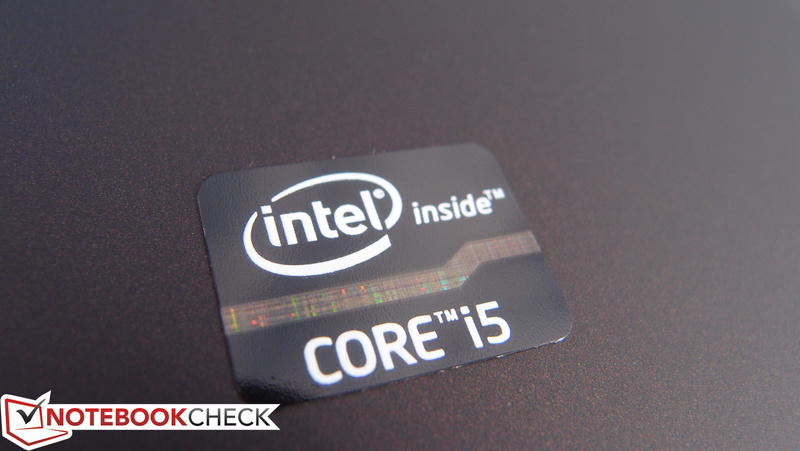 The Core i5-3317U CPU is a popular choice for Ultrabooks as it delivers respectable performance at a very low TDP of 17 W. For those keeping track, its benchmark results are actually in line with that of the i5-2410M, which is impressive given that the 2410M is a full-voltage Sandy Bridge CPU with a 35 W TDP. For instance, the Twist turns in a score of 8837 in Cinebench R10’s Multi 64-bit rendering test, falling just short of the Sony Vaio Duo 11’s 9125, while decisively topping the Yoga 13’s 7118 (the Yoga 13 was found to suffer from significant throttling, so in light of that this is to be expected). Our test procedure always involves the use of PCMark to assess general system performance. PCMark 7’s results are always heavily dependent upon the speed of storage devices (unlike 3DMark), so—with the lack of an SSD—we should expect the ThinkPad Twist to fall short of its competitors here. 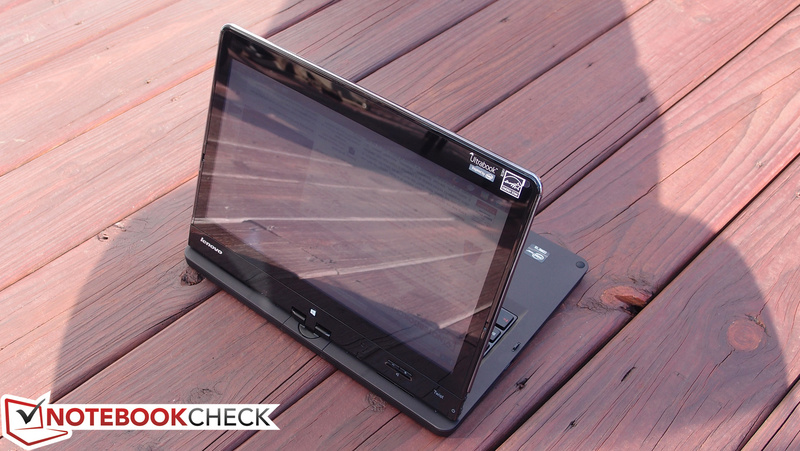 Thus, a score of 3071 versus the Yoga 13’s 4396 and the Sony Vaio Duo 11’s 4803 should not be surprising. What is perhaps surprising, though, is that this score is actually substantially better than that of other similarly-equipped Ultrabooks, such as the Asus Zenbook UX32VD, which posted a score of just 1934. Both notebooks also use the same Diskeeper-powered SSD “ExpressCache” approach to accelerating disk activity coupled with a 24 GB SSD, but the scores are quite different indeed. In the absence of PCMark Vantage’s insight (thanks to its Windows 8 incompatibility), another look at system performance can be provided by the Windows 8 Experience Index. Both configurable and easily replaceable is the ThinkPad Twist’s standard mechanical hard drive, which rests behind a small door on the edge of the notebook secured by just a single screw (as is the case on most ThinkPads). 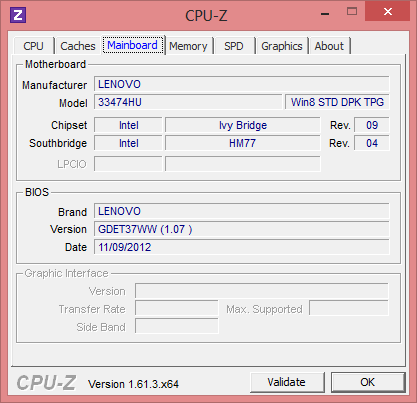 Options for two different models—320 GB and 500 GB, both 7,200 RPM—exist on Lenovo’s CTO store. Keep in mind, however, that like most Ultrabooks, the Twist only supports drives of 7 mm drive height (as opposed to the normal 9.5 mm). 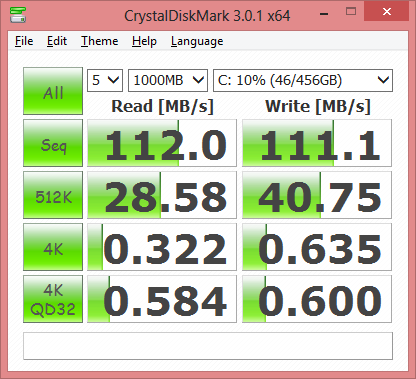 See here for our growing list of benchmarked HDDs and SSDs. Our review unit came with a 500 GB 7200 RPM Hitachi drive (specifically, the Z7K500, which is again a very popular component in modern Ultrabooks). This drive is no slouch on its own; however, if it only included a standard mechanical drive, the Twist could not flaunt Intel’s Ultrabook certification. Thus it adopts the strategy of many other notebooks in its class: the inclusion of a separate mSATA SSD to be used solely for caching frequently accessed data to boost overall system performance. While, of course, nothing matches the performance of a 100% solid state storage solution, this approach certainly helps to boost the overall speed. It’s important to emphasize the fact that the SSD cannot be accessed by the user. It isn’t even listed as a volume by the logical disk manager within Windows; due to the implementation (which leverages Condusiv Technologies’ Diskeeper ExpressCache), all of this is fully transparent and automatic. 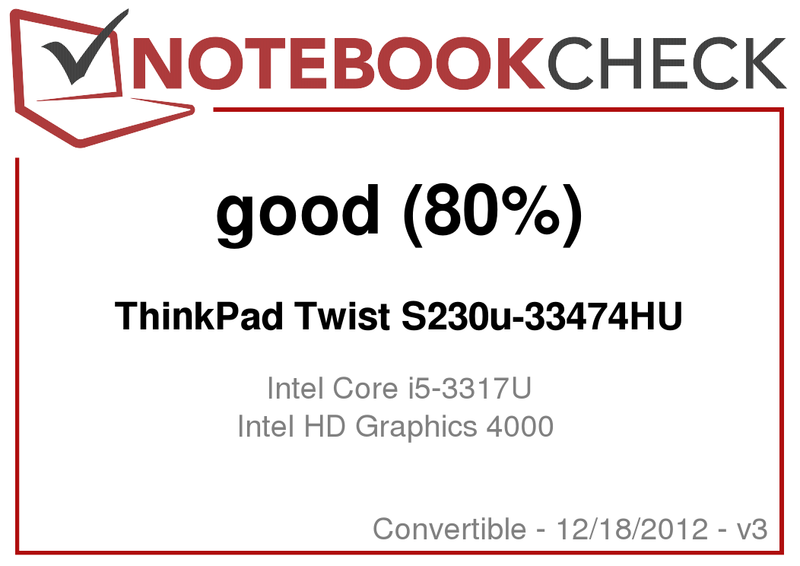 Beginning with the synthetic GPU benchmarks, the ThinkPad Twist’s results are rather disappointing but perhaps expected. 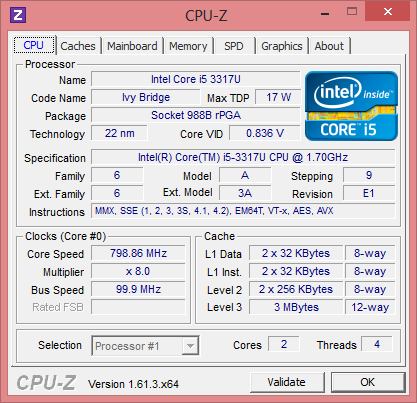 Since the Core i5-3317U is of the low-voltage variety, its integrated Intel HD Graphics 4000 GPU can only Turbo Boost to 1050 MHz (and that is under ideal conditions). As such, it isn’t so surprising that our results trail behind the full-blown Intel HD 4000 averages by around 25-35%. Still, compared with the IdeaPad Yoga 13 (which, again, suffered from notable throttling issues), the Twist’s results seem much more palatable. For instance, we recorded 79 FPS and 18 FPS within StarCraft 2 running on Low and Medium settings (respectively) versus the Yoga’s 64 FPS and 13 FPS. Naturally, considering the size of the PC (and the intended market), no dedicated GPU options are available. Ultimately, the Twist isn’t meant to be a gaming machine—and as our results show, if you’re planning on doing any gaming at all, don’t expect to be able to manage on anything above Low settings, assuming that even works. 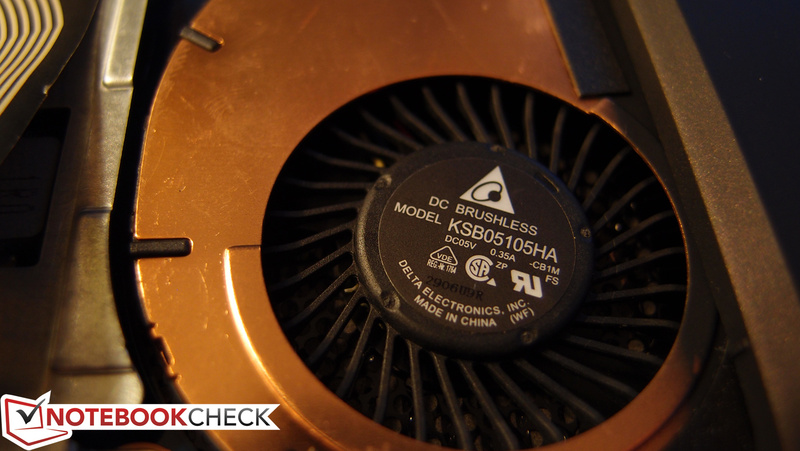 To check whether system performance is lower while running on battery (versus AC power), we performed a second run of 3DMark11 without the adapter connected. The result (544) was nearly identical, confirming no difference in performance. 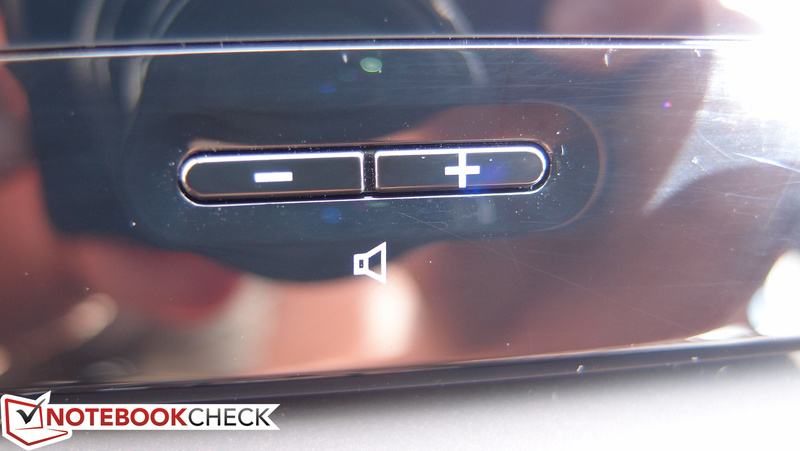 While idle, the ThinkPad Twist is very close to silent. At just above 32 dB(A), it’s only detectable within a very quiet environment. It is worth mentioning that when heavy disk access is involved, the hard drive seeking sound is audible, and it could irritate those with keen hearing. Apart from that, however, this is a quiet machine. Under load, things get a little louder, but never annoyingly so. 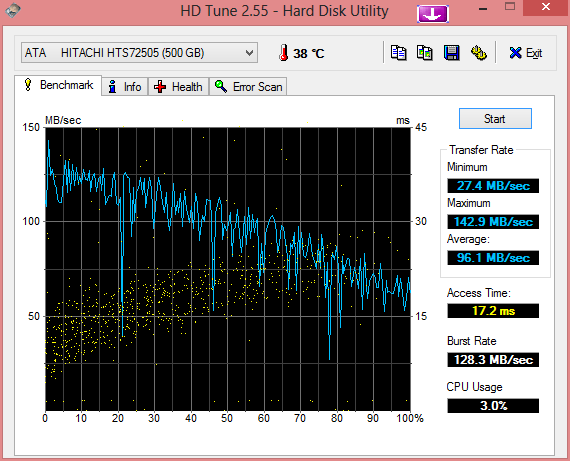 With a median Load value of 35.3 dB(A), the Twist is barely louder under load than some other notebooks are when idle. It does eventually reach 38 dB(A) when continuously stressed, but this is still well below troublesome levels. But, as you might expect, all that quietness comes at a price. 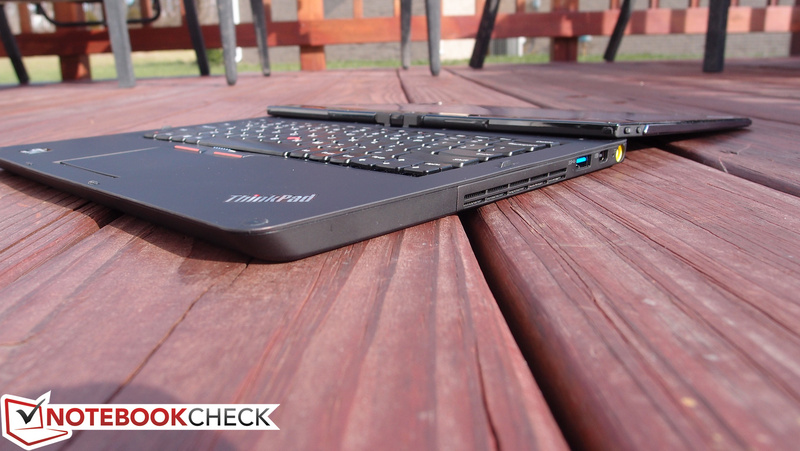 The ThinkPad Twist is one hot notebook, idling at up to 33.8 °C and maxing out under load at as much as 54.2 °C (!!). 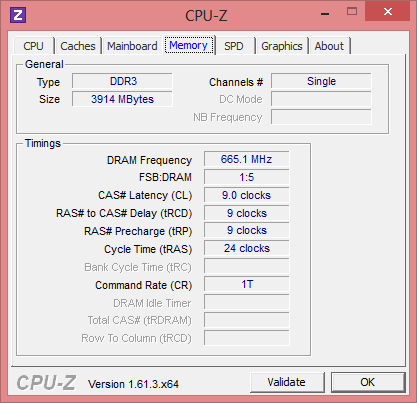 There are a couple of things worth noting, however: firstly, our load temperatures are measured following an hour of full system stress using FurMark and Prime95, and that means that under normal circumstances, most users will never see these values. Secondly, these high temperatures are all concentrated in a single location: along the right-hand side of the notebook underneath the exhaust vent, which makes them relatively easy to avoid even if the notebook is being used on the lap. Perhaps more importantly, on the top side of the base of the laptop, the palm rest and touchpad remain relatively cool even under heavy load. (-) The maximum temperature on the upper side is 49.2 °C / 121 F, compared to the average of 35.4 °C / 96 F, ranging from 21.8 to 55.7 °C for the class Convertible. As part of the exhaustive range of tests to which we subject every notebook that arrives on our doorstep, we simulate maximal system load (under full CPU, full GPU, and, finally, both) to assess whether the machine can handle torturous use without buckling under pressure. 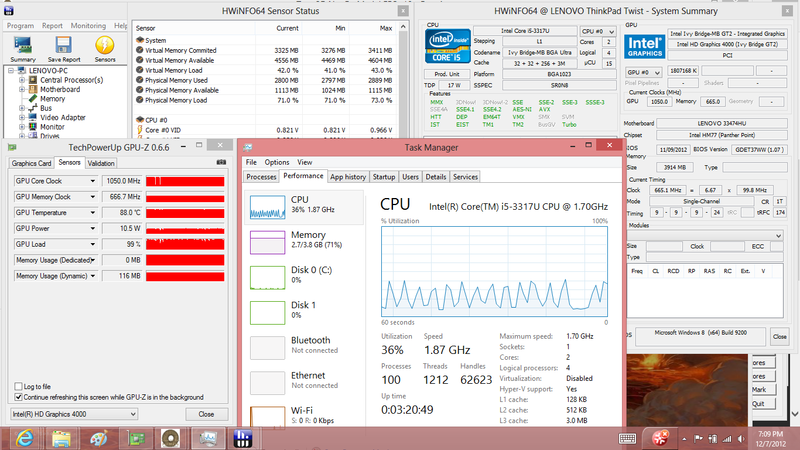 Under full CPU stress, the ThinkPad Twist hardly batted an eye. Reporting safe temperatures of 80 °C following nearly an hour of this treatment, it’s clear that the notebook can easily handle heavy computational tasks. 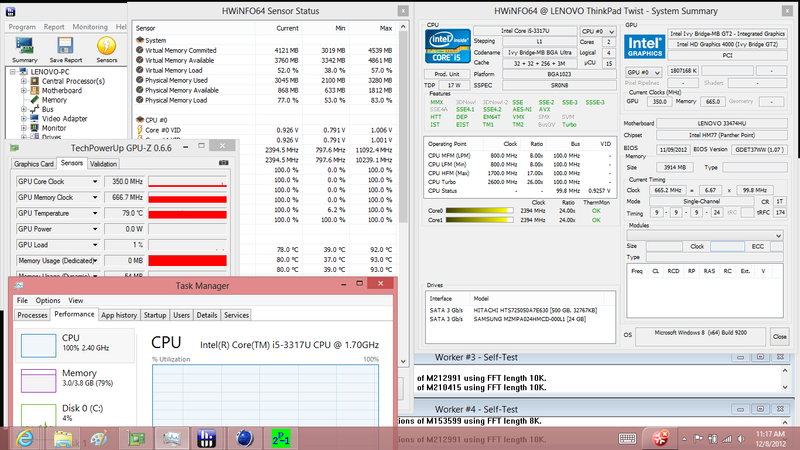 We recorded no throttling here; the CPU remained at the maximum Turbo Boost frequency for the duration of the test. Full GPU stress was slightly less reassuring, with higher temperatures of 88 °C and a rare momentary hiccup in Turbo Boost clock rates. 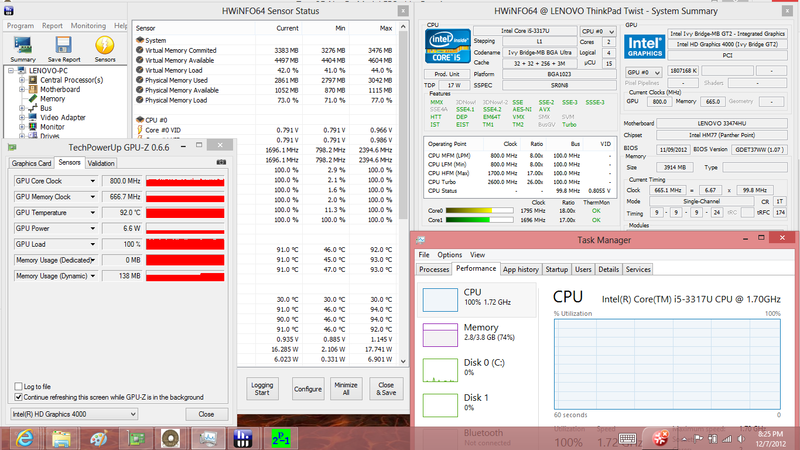 Lastly, under full system stress (CPU and GPU), the Twist’s cooling system finally yielded. Reaching a near-constant upper-limit temperature of 91 °C (and a maximum of 92 °C), the notebook was forced to reduce its GPU clock rate to 800 MHz and its CPU to 1.7 GHz. While this doesn’t qualify as throttling (since the clock rates remain above their base frequencies), it does quite clearly communicate that, if stressed heavily enough, the Twist can’t handle full-power Turbo Boost computing for long. This is unlikely to manifest often in real-world scenarios, however. 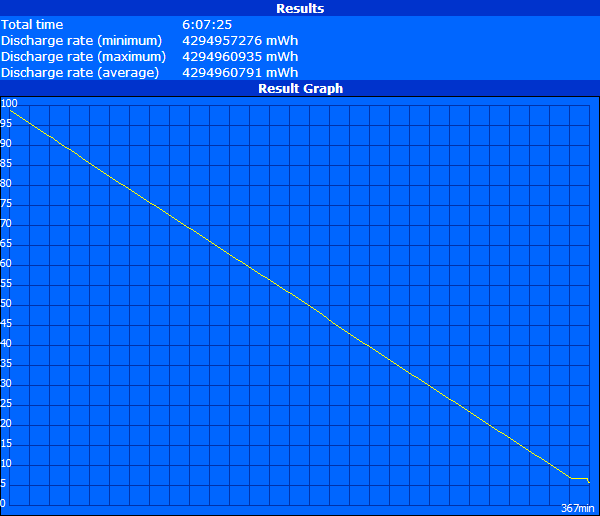 To illustrate this point, we ran 3DMark06 again directly after stopping FurMark and Prime95 and still managed to receive a score within the same range as the previous one (3551). Considering its intended primary use as an ultraportable office notebook, the ThinkPad Twist’s success doesn’t rest on its ability to proficiently reproduce audio. But in spite of this, it still does a pretty decent job—albeit constrained by its dual 1 W speakers. The audio actually emanates from underneath the keyboard, and it certainly lacks bass (as expected). 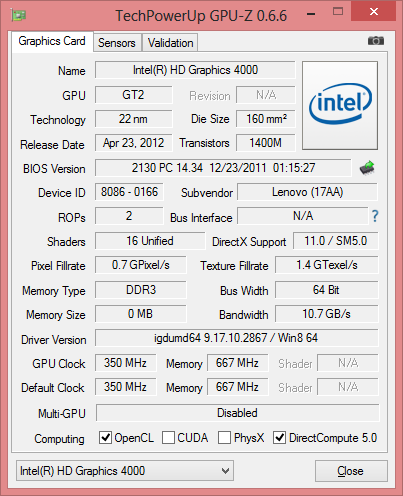 But it’s passable, and the volume level is much better than that of many past ThinkPad notebooks. Since it’s still a business machine at heart, a good battery life is paramount to the success of the Twist. 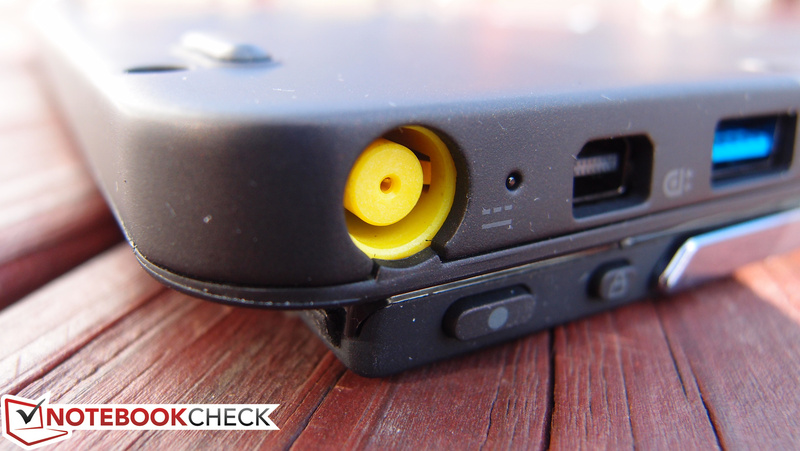 We subjected it to our usual array of tests using Battery Eater to see how it stacks up. 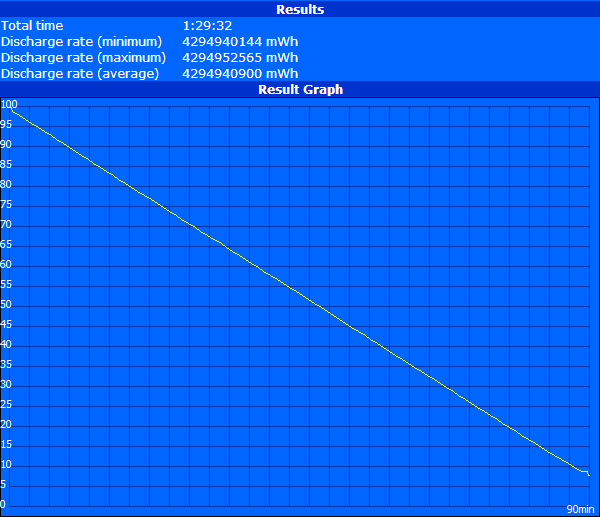 Under our maximum runtime test (minimal load), the battery lasted for just over 6 hours. When testing the opposite extreme, under the Battery Eater Classic Test, the notebook managed just one and a half hours before giving out. 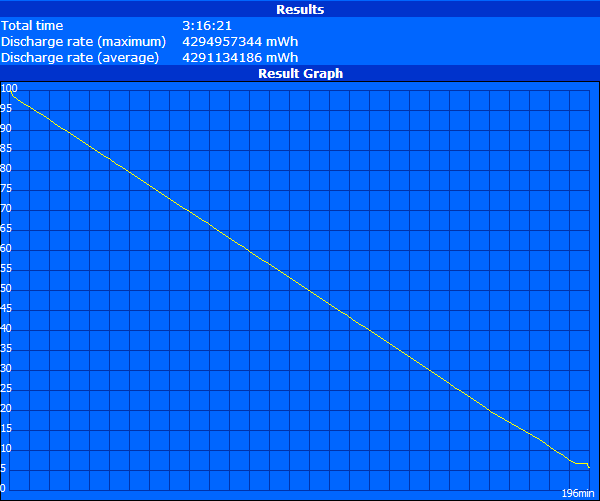 For our real-world test, we first configured the power profile to Balanced and set brightness as close to 150 cd/m² as possible. Next, we performed our simulated web surfing script to see how the notebook would hold up under more typical usage scenarios. Here, we encountered a sorely disappointing result of 3 hours and 16 minutes—which places the Twist near the bottom of the heap in terms of longevity. The bottom line is that, thanks to its limited 42.4 Wh battery capacity, the Twist simply can’t manage enough runtime to stand with most other modern convertibles. 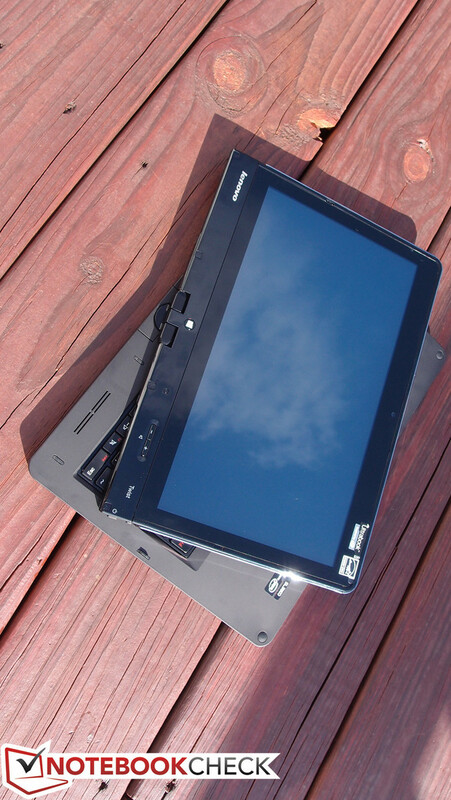 In spite of the somewhat confusing misnomer, the ThinkPad Twist is actually a member of the Edge family. This is Lenovo’s attempt at producing an affordable, business-minded convertible that compromises in a few key areas in hopes that its adopters won’t mind. After all, it inherits many critical traits of the classification, ranging from a good IPS display panel to a responsive touch interface and clever transformation design. And it adds other business-class perks, such as a spill-resistant keyboard and an above-average assortment of ports. But the deficiencies still leave us scratching our heads, primarily because they have a major impact on its appeal to the intended demographic. 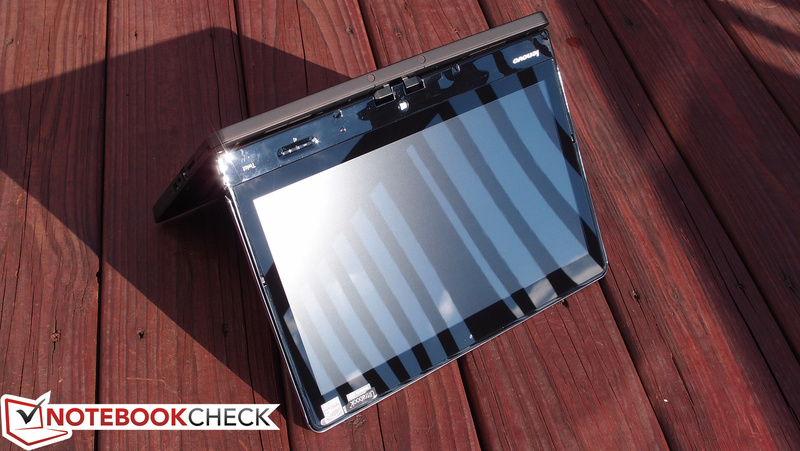 With a restrictive battery life, low screen brightness coupled with a high-gloss display, and un-ThinkPad-like casing quirks, the Twist fails to address some of the most important qualities of a business notebook. This isn’t a bad notebook by any means. But with such heated competition from models like Dell’s XPS 12 and even Lenovo’s own IdeaPad Yoga 13—and with a plethora of already-great non-convertible business notebooks saturating the market—it’d be hard to recommend the ThinkPad Twist as a business notebook unless tablet functionality is a must and budget is the primary concern. It’s a serviceable notebook and a functional tablet, but unfortunately not an excellent manifestation of either. 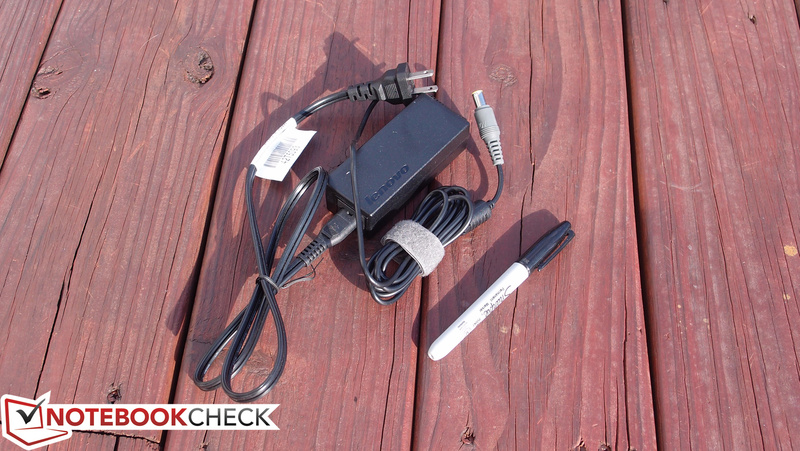 The universal ThinkPad charger works. But the keyboard is excellent. ...and its secret is soon revealed. The ThinkPad Twist’s multitouch display is perfectly responsive, and paired with the comfortable keyboard, it makes a strong case for convertible practicality. Meanwhile, above-average build quality and an attractive price point are also appreciated. 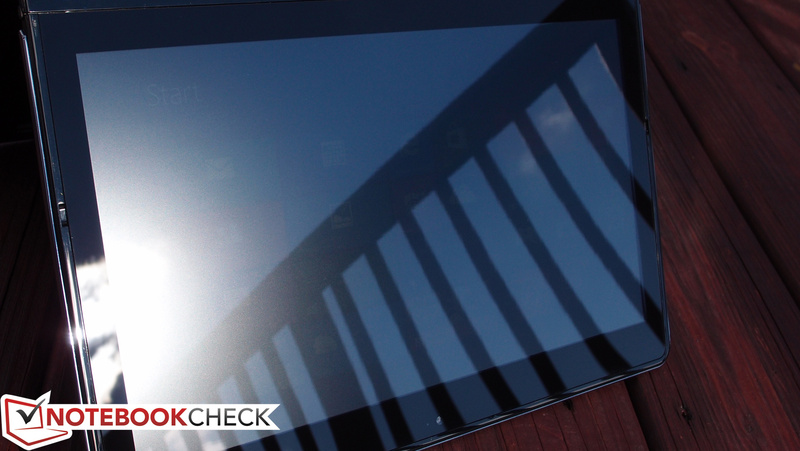 With a display this glossy, better brightness is a must. 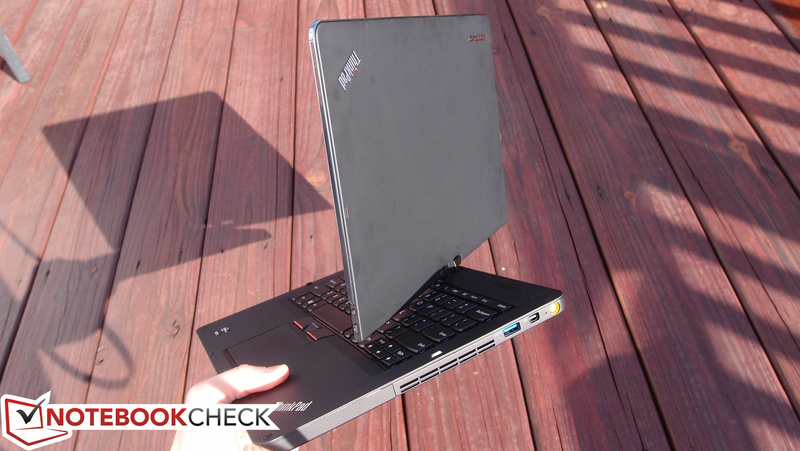 Our measurements fall far short of Lenovo’s quoted values. Also, the weak battery life hardly suffices in the business world. 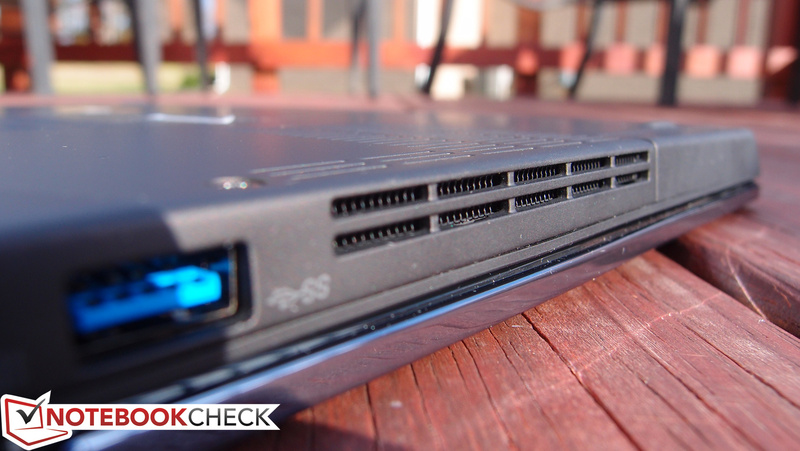 The impressive array of ports lining the edges of the notebook for an Ultrabook—including a full-sized Ethernet port!